Got a hot lead on some G1s. Cranberry NDC @ piazza plaza on Rt 19 has some new ones including Metroplex, Shockwave, Prime, Ratchet, Wheeljack, Slag, Snarl, Gnaw, Whirl, 2 Jetfires, Onslaught (in box), and one heck of a OMEGA SUPREME ($120)! Hope that helps someone out! Motto: "Bah Weep Granna Weep Ninny Bom"
Currently, nothing. Seems the shelves are up for dusting, since thats all there appears to be, or has been for some time. Seems that here in the arse-crack of PA, we don't get squat. 'Course, the only thing I am currently looking for is the US Masterpiece Starscream. Still no Screamers in the area, huh? I should be hitting the Parksburg Super Wal-Mart tommorrow morning for a Pixar Cars event for my sons, but I'll keep an eye out for Screamer and anything else they have. The Walmart near me (West Norriton Walmart in Montgomery Co, Trooper and Egypt Roads) had about 15 of the 20th Primes the other day. They had been sitting on the shelves for a few weeks, seemingly not moving (unless they were just being constantly restocked). I went back a few days later and the endcap these were occupying was changed to some other toy and all the Primes were MIA...either there was a sudden buying spree, or they got shipped back to a warehouse somewhere. No MP Starscream, yet. That's all I'm looking for. MP Starscream is at Quakertown WM on rt. 309. 5 left as of 1pm. As of 3:45 the Trooper/Rt 363 Walamrt had 3 left. Colmar/Rt 309 was sold out as of 3pm. Norristown said they never got any in. Sledge wrote: Finally! Wheelie will get the credit he's due with a set of five Wheelies. "People who live in glass houses sink ships"
"If you want to get rich, collect money, not toys"
Just picked one up in Bethlehem, had about 10 left on top shelf. I'm speaking of the one on 191 just S of 22. AltHunter wrote: As of 3:45 the Trooper/Rt 363 Walamrt had 3 left. Was at the West Norriton Wally World tonight (Trooper & Egypt Rds) and there were five MP SS. Now there are four there and one at my house. Yippie. I was just there a few days ago and there wasn't even a tag on the shelf for him...caught me by surprise since I was there to grab some stuff for a work trip the next few days. Also, there were a bunch of Leader Megatron, Optimus, and Brawl in the store, but they were on the top of the automotive dept shelves. For whatever reason, the toy section overflow has been moved to the top of the automotive area, half way across the store from the rest of the toys. That'll confuse people when the holiday rush comes. 3 Masterpiece Starscreams at Trexlertown Walmart for $48.88 apiece. I've found a few master piece starscream at the walmart in Indiana, pa, none in kittanning or butler though. 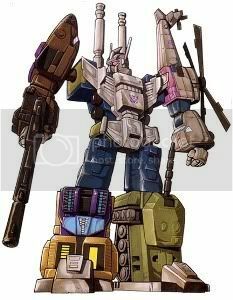 guys, are there any comic shops in the montgomery county area that sell tf's? i'm always reading about other people going into the local shops and getting imports and other stuff but i've never seen a single one around these parts. the only one i've seen was quakerhead(anime bento) in springfield but that closed down a long time ago. Masterpiece Starscream (x2) in Hermitage PA.
Wal-Mart in Delmont has the pegs full of new deluxe All-Spark power movie figs and the new Voyagers. Plus Desert leader Brawl. Some FAB and RH to round it off. All available at the Greenville, PA Wal-Mart Supercenter. Mentioned earlier this week that Hermitage PA had gotten in Incinerator (which I purchased immediately), some of his case mates still remain. Landmine/Cliffjumper case assortment has a small handful of figures left as well, in Hermitage. Grindcore, Big Daddy, Jolt, and Divebomb. 4 cases displayed on rear endcap. Looks like they restocked their shelves. Lots of Animated Deluxe Toys for $7.77 including Bumblebee, Ratchet, Black Arachnia. Also lots of Walmart Movie Exclusives such as Big Daddy and others. Lots of Universe Toys including Galvatron and Silverbolt. I got what appeared to be the last Animated Voyager Optimus Prime. oh... Marvel Crossover TFs too. Wave 4 animated - picked up Swoop (WooHoo!!) and Sentinel. Saw Galvatron, Acid Storm, Blaster, Blades, etc. Wave 4 animated - picked up EG Bumblebee. Saw all other current releases (not including Ultra Magnus - new target for hunting). plus tons of Animated, although no leader Magnus. I miss Family Toy Warehouse in Altoona. That place had some good stuff back in the day. Target Chambersburg - Onslaught, Blades, Silverbolt. Nothing else new. KMart Chambersburg - TF:A wave 3 (lots). Nothing else new. I'm going hunting this weekend, specifically for the Minicons pack from KMart and TF:A Ultra Magnus. I have no interest in Ironhide or some of the other Universe figures, so if I see them, I'll make sure to report them right away. Exton TRU had one Titanium Prowl and 5 or six Unicrons. Jsut got back from Shippensburg Wal Mart. Saw loads of wave 4 TF:A, wave 2 activators, and universe Ironhide (passed- looks kinda like a re-built SUV in need of Bondo) and Sideswipe (didn't like Sunstreaker, doubt I'd like a red verion). Bought an Acidstorm on impulse, just because I don't have any of the Seekers. The only other one of that mold I will buy will be 20th Starscream. Still looking for Magnus, darnit. Been kinda dry lately here in PA? KMart Chambersburg- Four Minicons 12 packs on the shelf. Got mine already in MD, but it's still nice to see. Went hunting yesterday at all the local stores for Magnus. STILL no luck. Guess I just have to wait for the dreaded Black Friday. Non-TF related, Bakugan is nearly impossible to find around here. My daughter really likes them, but only has one. She wants to get another one so we can play with them together, but she specifically wants one that comes with the ball and a figure. NOTHING in this entire area, ANYWHERE. Sheesh. Traveling to Johnstown to see family today, so maybe some luck there. 4,284 pages were recently viewed by 678 unique visitors. This page was viewed 1 times on Wednesday, April 24th 2019 10:51am CDT. © 2019 Seibertron, Inc. DBA Seibertron.com. All Rights Reserved. Established June 2000. Seibertron.com is owned by Ryan Yzquierdo.